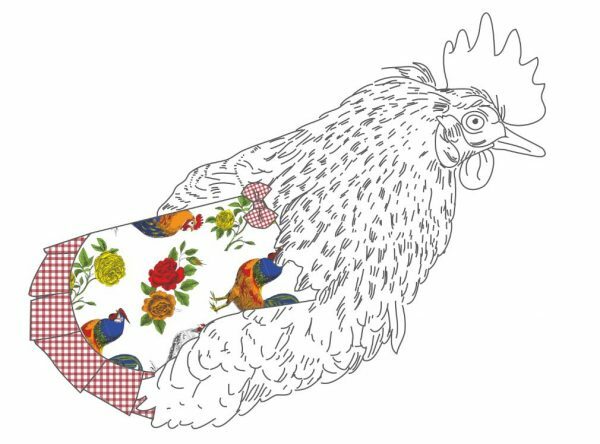 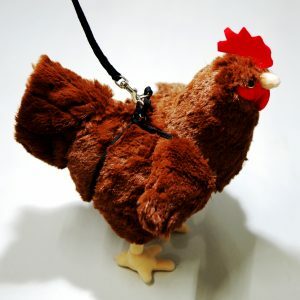 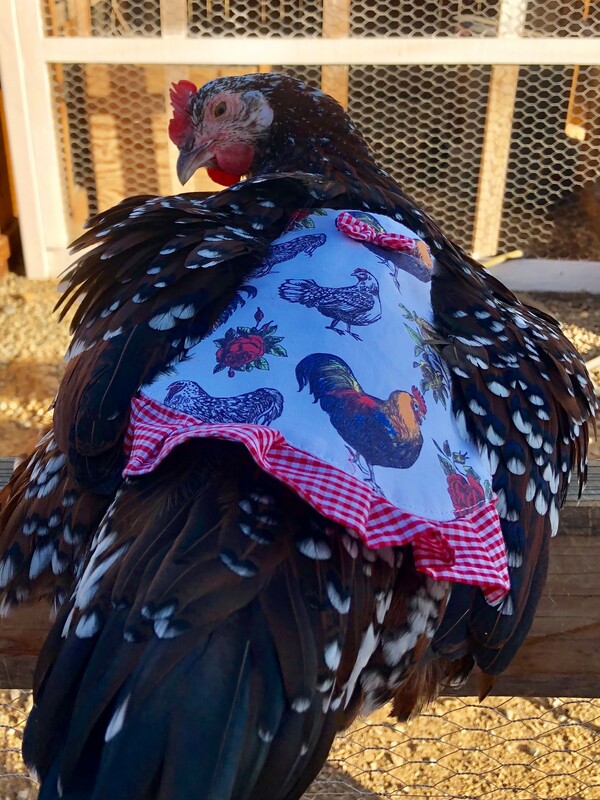 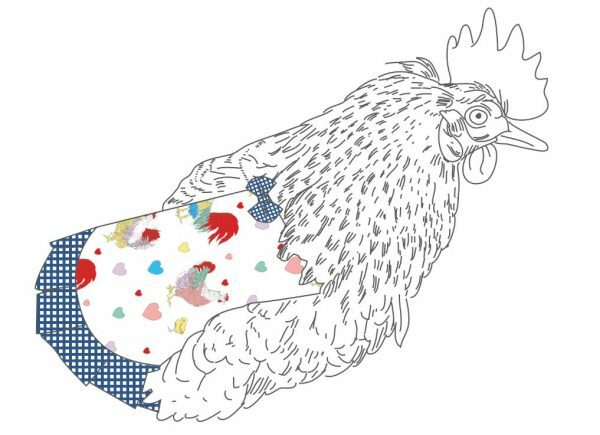 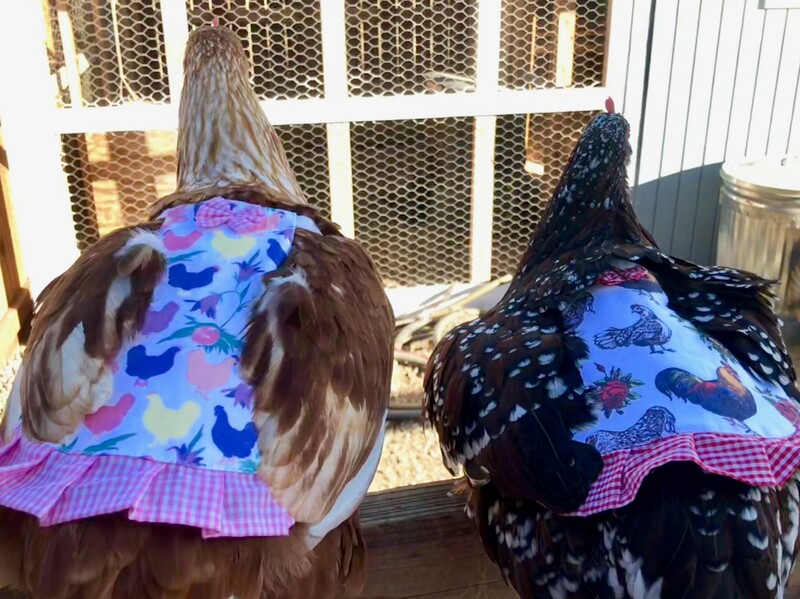 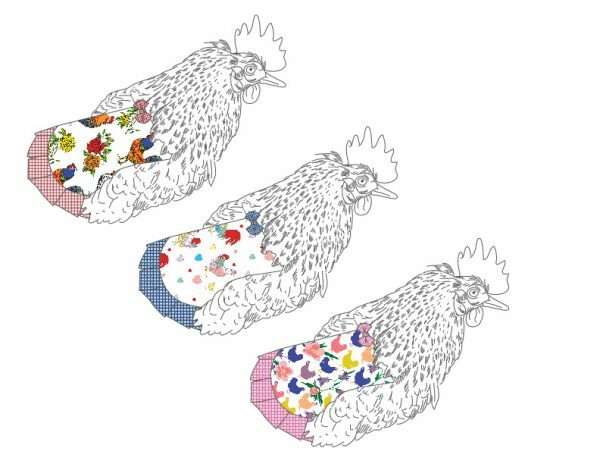 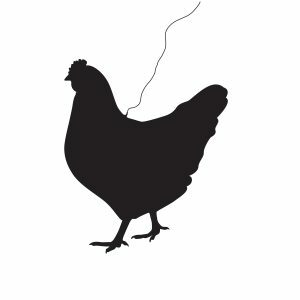 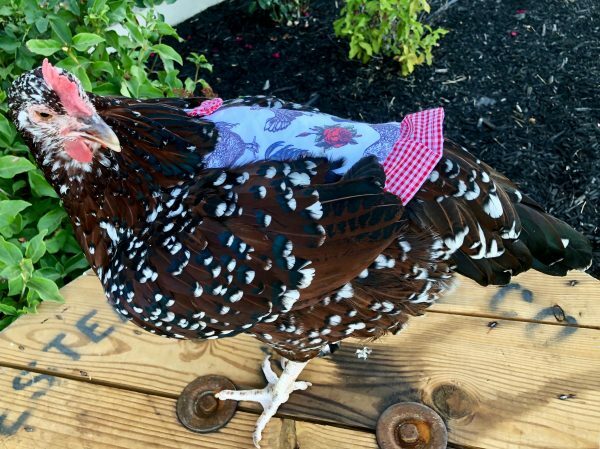 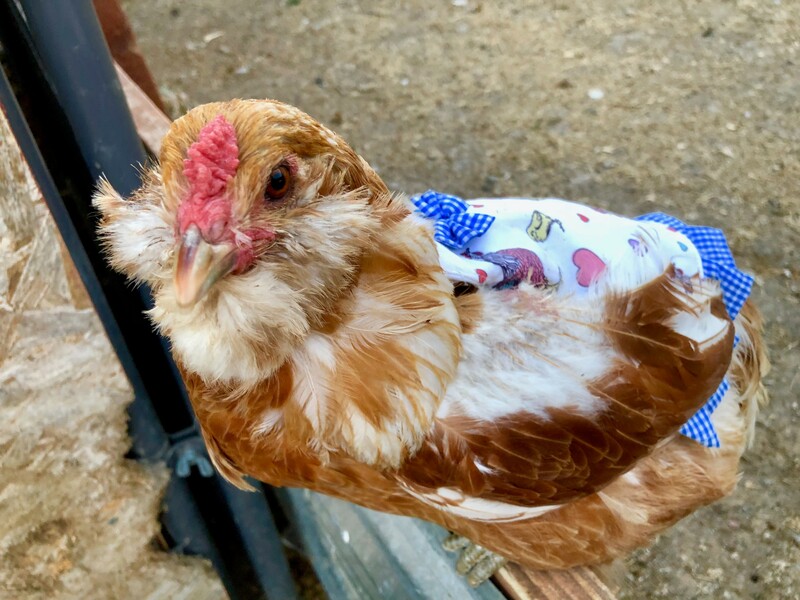 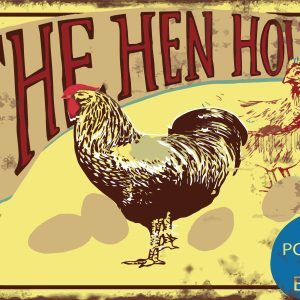 A hen saddle is a piece of chicken apparel, worn for a temporary period of time, to prevent picking, rooster spur damage, aerial predator attacks, and for dress up! 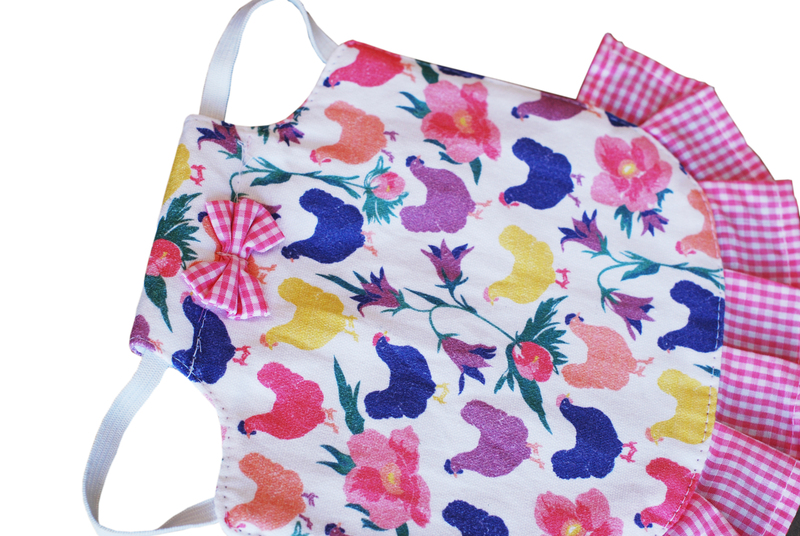 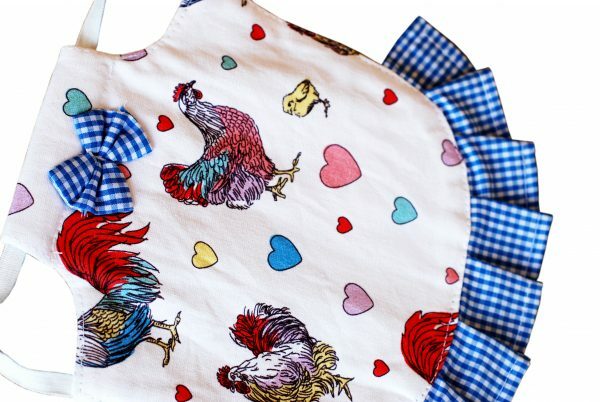 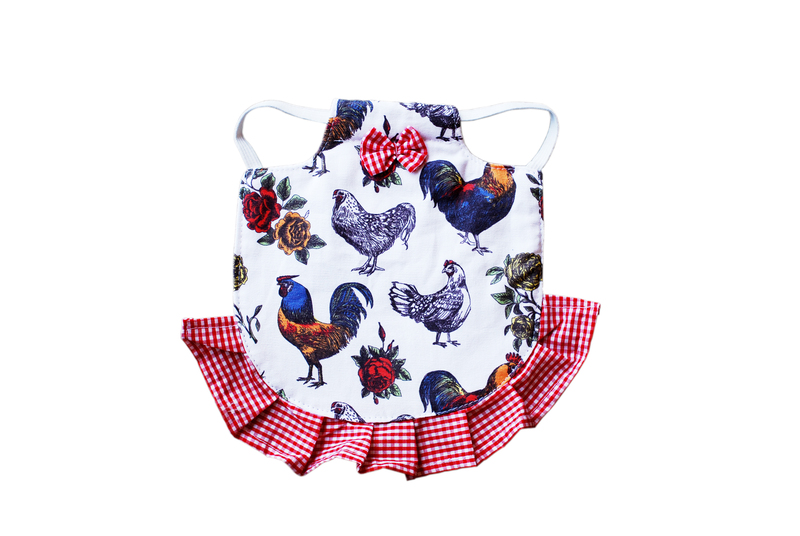 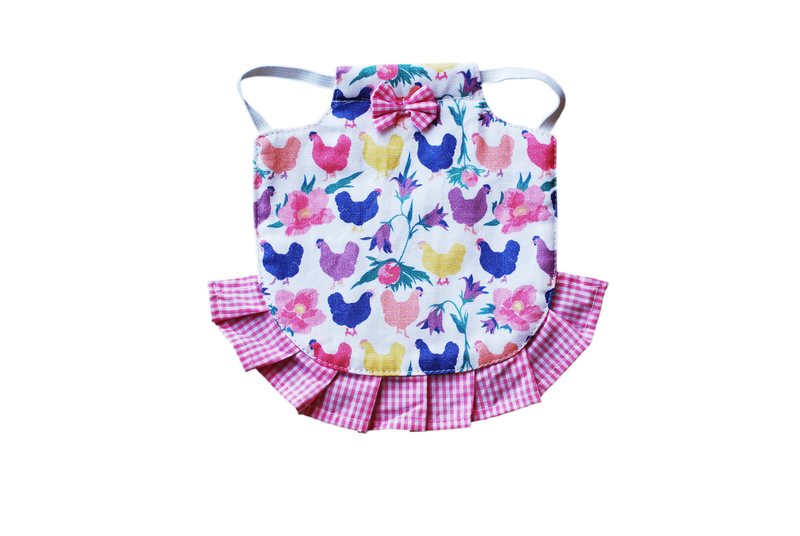 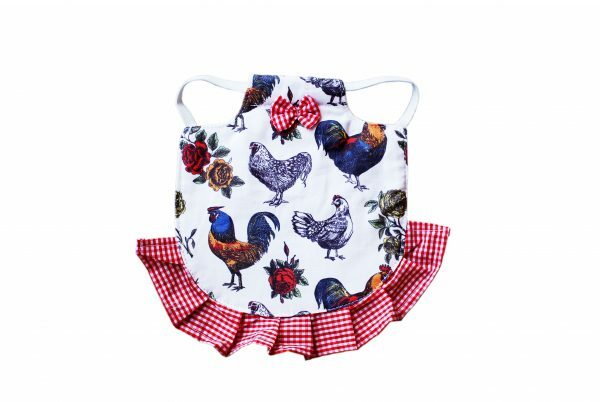 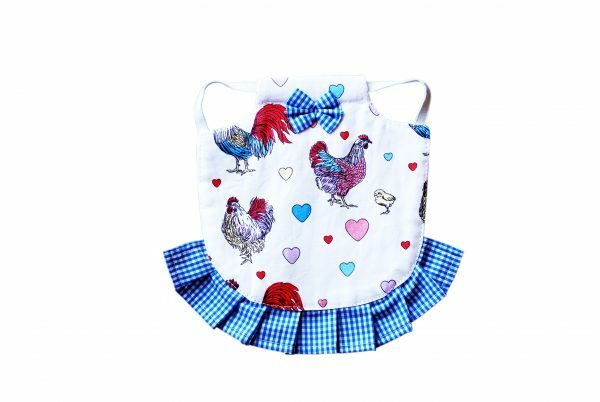 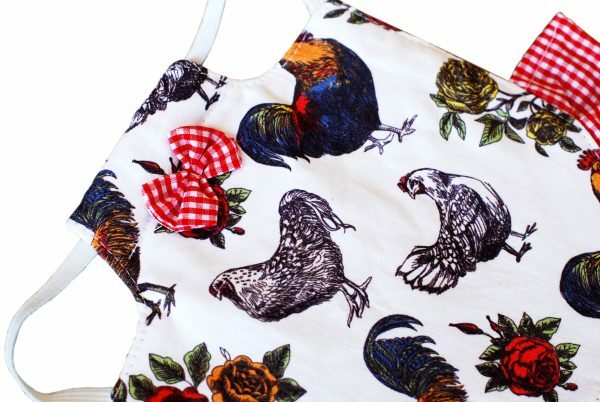 Attractive to look at and just plain fun to dress up your chickens! Elastic band on each side to slip behind each wing to safely secure the jacket. 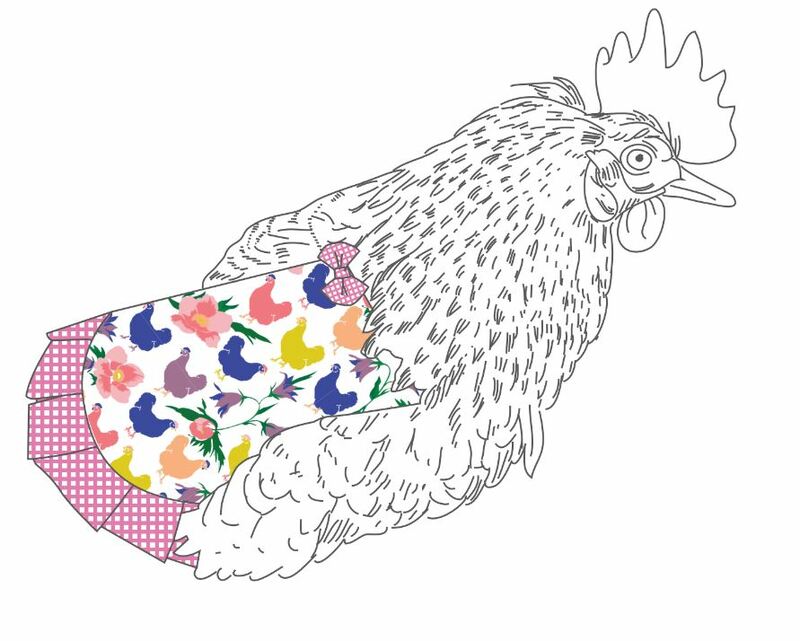 Standard size to fit most average hens. May not fit bantams or very large breeds.